EDMONTON (April 13, 2015) – The EAD Joint Venture announced today that Gateway Casinos & Entertainment Limited (Gateway) will be one of the major entertainment tenants in the Edmonton Arena District (EAD). With a scheduled opening date in summer 2016, the new Gateway casino will be located in the new 125,000 square foot building under construction and located adjacent to Rogers Place on the northwest corner of 104 Avenue and 102 Street. The new building is a true mixed-use complex that shares a covered corridor with Rogers Place. The covered corridor on the second level will connect the MacEwan LRT station on the north edge of Rogers Place to the main entrance of the arena. The corridor also connects to the Winter Garden that will span over 104 Avenue and ultimately blend into the public plaza in the heart of the EAD. The new building also shares a roofline with the Community Rink and will provide 270 underground parking stalls. Gateway will have a footprint exceeding 45,000 square feet on the corridor level with an entrance at street level. The entertainment space within the casino will exceed 60,000 square feet. “The EAD and Gateway will bring together a one-of-a-kind entertainment experience in the hub and heart of Edmonton and we are excited to be a tenant in this state-of-the-art project,” said Tony Santo, CEO of Gateway Casinos & Entertainment Limited. 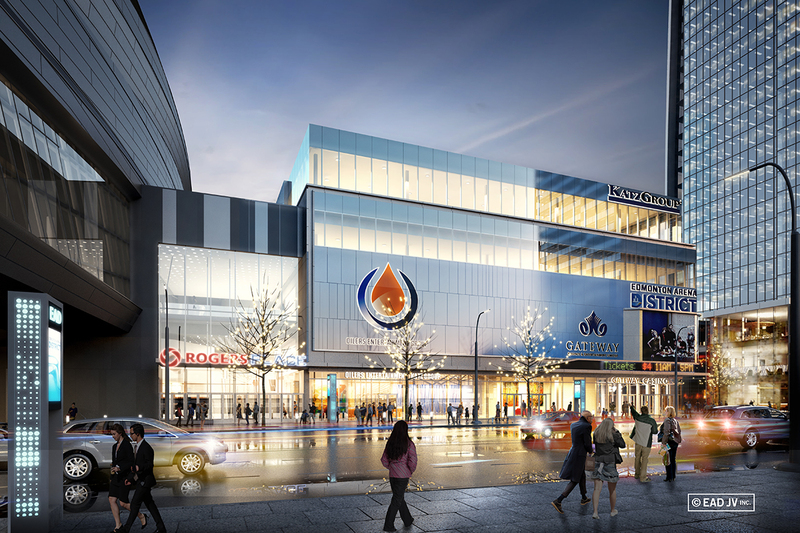 The new building will also become home to Oilers Entertainment Group (OEG) and the Katz Group. OEG and Katz Group will occupy over 70,000 square feet on the third and fourth levels with a separate entrance at street level. 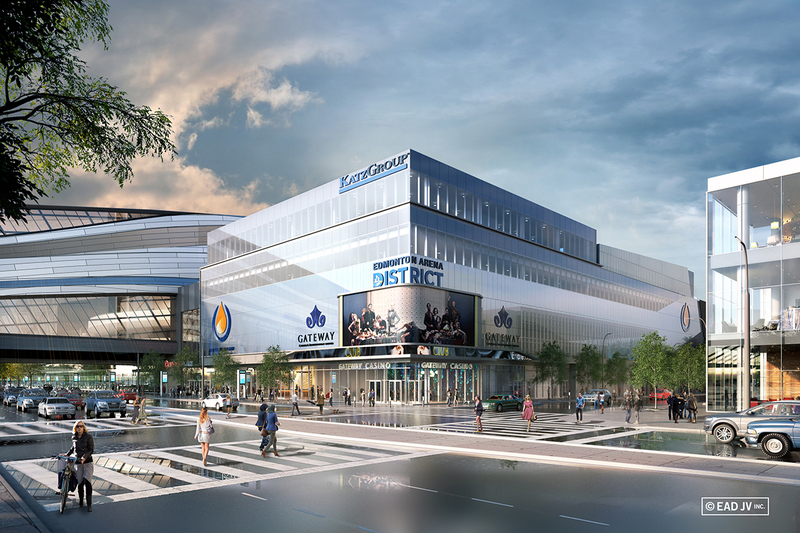 For more information and updates on the Edmonton Arena District, visit EAD.ca.